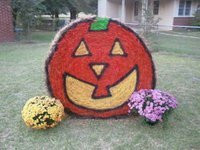 See what you can do with a hay bale and paint. Halloween country style!! !